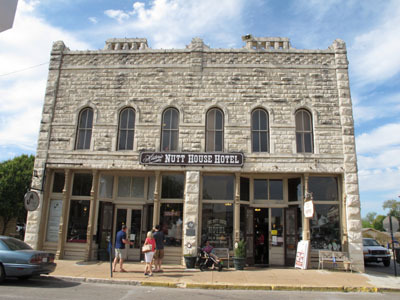 GOING ON ADVENTURES: Legends and folklore in Granbury, the town "Where History Lives"
Legends and folklore in Granbury, the town "Where History Lives"
Is there a more appropriate place to start a ghost tour than the Nutt House Hotel? 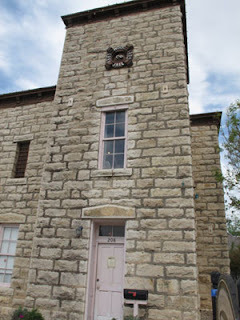 That’s where we gathered to learn about the history and legends of Granbury, Texas. At dark we met Boots, a portly gentleman sporting cowboy boots and a big Western hat—looking every bit the part of a ghost tour host. Of course, the hotel was just one of the historic buildings around the square, the first in Texas to be added to the National Register of Historic Places, that we would hear more about in the next hour. Before starting our tour, Boots told those with smart phones to power up an app that would pick up vibes from ghostly beings—spirits still lurking from Granbury’s lawless days. And there were many strikes to prove the assertions of Boots and other historians. 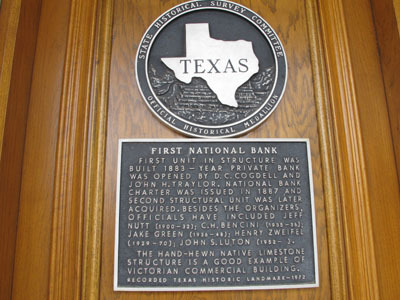 the First National Bank, are recognized for their historic importance. Bonnie and Clyde were known about these parts for buying sandwiches which they ate on the courthouse lawn before taking off to rob a bank in a nearby town. Even though the sheriff recognized them from Wanted posters, he decided not to tangle with them and left them alone. The Hood County jail is now a museum. Spirits roam the old Jailhouse and hanging tower, even though only one person died there. Indians living in the territory would bring in skins to exchange for whiskey, but an unscrupulous banker shot one in the back on his way out. Notorious six-shooter Jesse James had a bank account and safe deposit box in the First National Bank, the only U. S. bank where he had a working account. Spirits are plentiful on the steps of a fire escape where James shot his girlfriend and a sheriff, and visitors with the app on their phones reported dozens of strikes at that spot. Later in life James returned to Granbury and is buried there. The assassin of President Lincoln, John Wilkes Booth, came to Granbury after the murder and took the name John St. Helens. Not recognized as the killer, he tended bar where the Nutshell Bakery is today. He also managed the local theater group for 18 months before falling ill and confessing to the murder. Legend says he revealed that the gun he used to shoot Lincoln could be found under the floor boards of Room 2 of the hotel. However, once his health improved he skipped town and fled to Oklahoma. 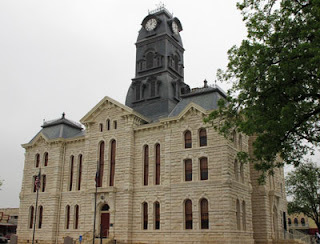 The courthouse played a part in many of Granbury's legends. We heard other stories of tragic deaths—which fuels the reports of ghosts. A gunslinger hired to guard the courthouse fell to his death when he tripped on a step and impaled himself on a railing. The bank owner’s five-year-old granddaughter fell to her death out of a round window while watching animals from the Ringling Brothers Circus that had come to town. Lively history and legends are what make this one of the seven best ghost tours in the country according to Frommers Travel Guide. Tours are held twice on Friday and Saturday nights. Tickets are $10 for adults and $7 for children.